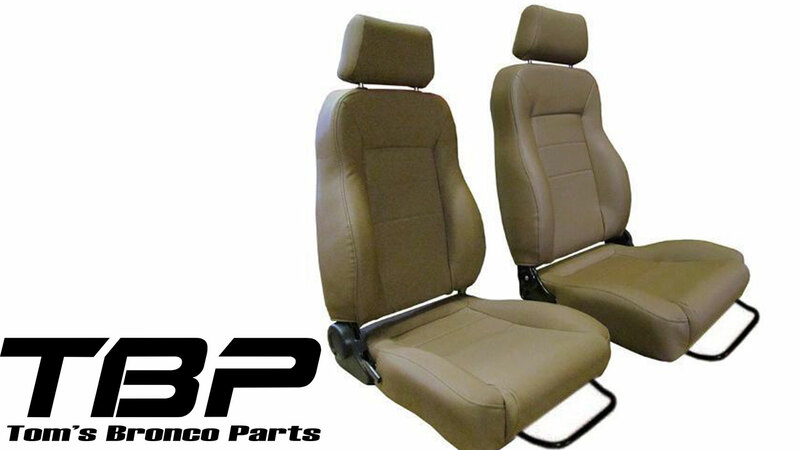 New Deluxe Front Bucket Seats for 66-77 Classic Ford Broncos. Spice Vinyl, very comfortable, adjustable head rest. Seats are made of high quality denim-weave vinyl and come in Black, Gray or Spice. Kit includes custom mounting brackets and sliders. Mounting brackets bolt to the factory front seat mounting holes and require 2 holes to be drilled for the rear passenger seat mount.